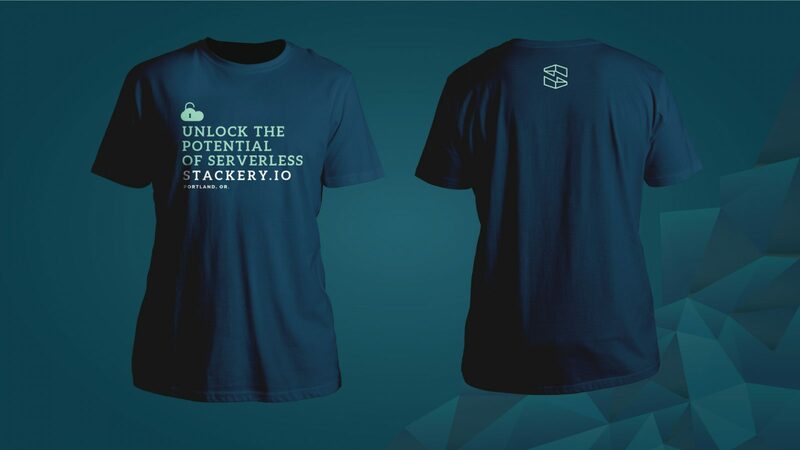 As a new tech startup, Stackery’s branding needed to appeal to both corporate and tech communities. 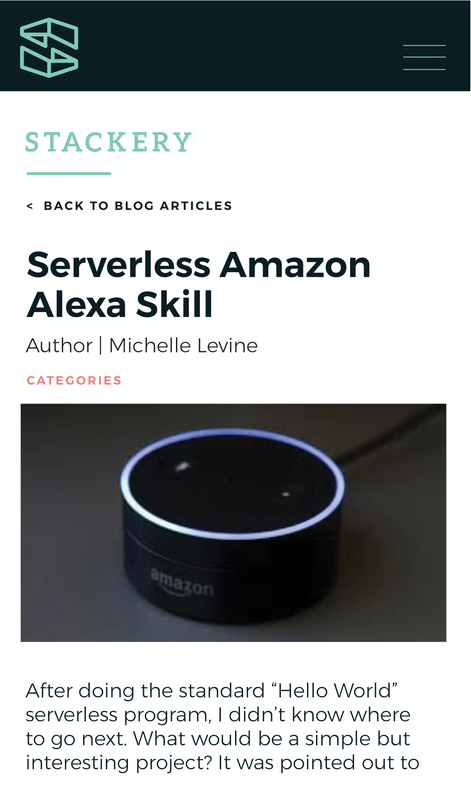 It was exciting to come up with a mark that conceptually represents being "serverless". Stackery thinks "outside the box," so we designed a geometric 's' that looks like a box expanding. 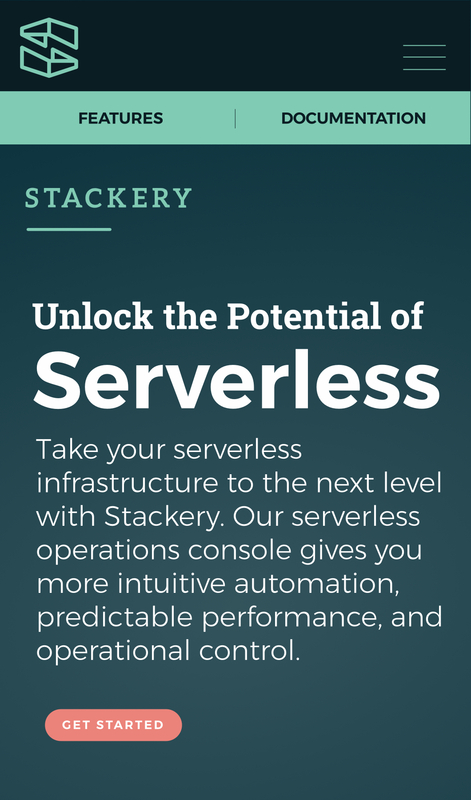 Stackery is a serverless technology startup dedicated to helping companies to implement and optimize their serverless infrastructure. 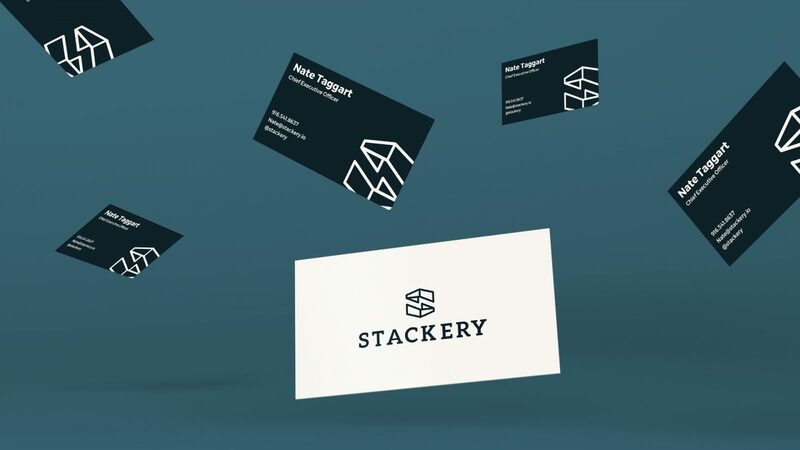 Stackery’s branding unites a technical aesthetic with creative design. 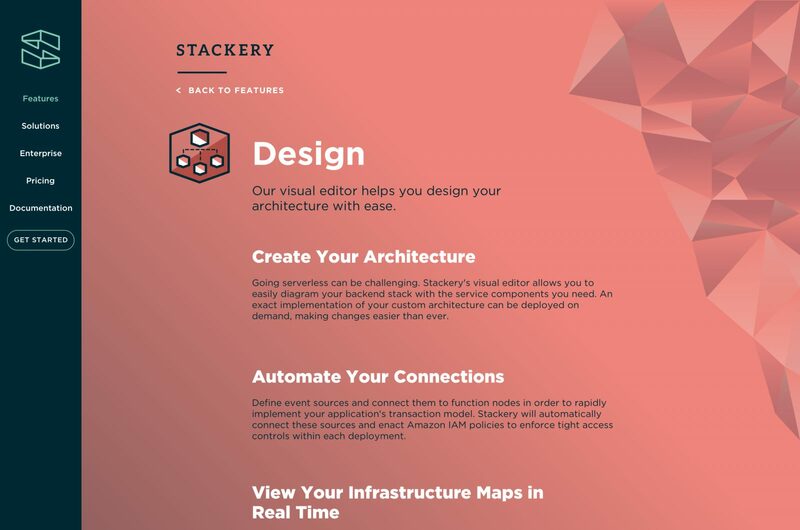 Drawing inspiration from the flexibility of serverless infrastructure, Stackery’s branding creates a visual sense of expansion by evoking complex technologies through color and shape. 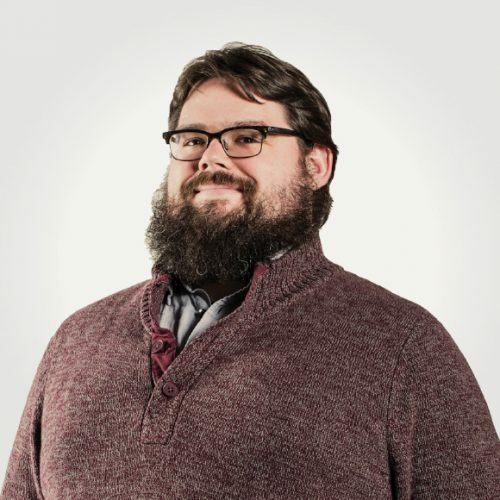 This begins with the logo, which is a dimensional S that comes together to create the shape of an expanding box illustrating the concept of expandable serverless technology. When looking at the mark, the top of the S and the bottom of the S are the same pieces flipped to evoke the symmetry and balance of serverless. 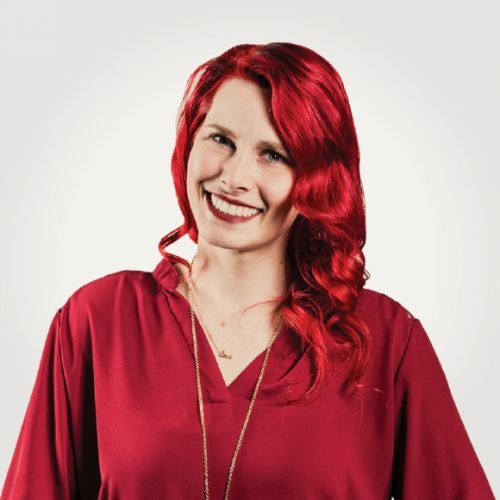 The logo is appealing to developers and has a hint of corporate appeal. 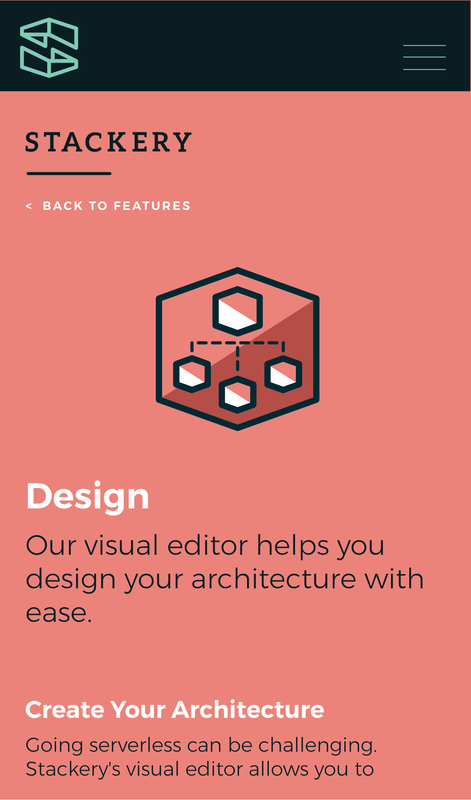 The Stackery website expands this concept into full pages of shapes that build into structures. 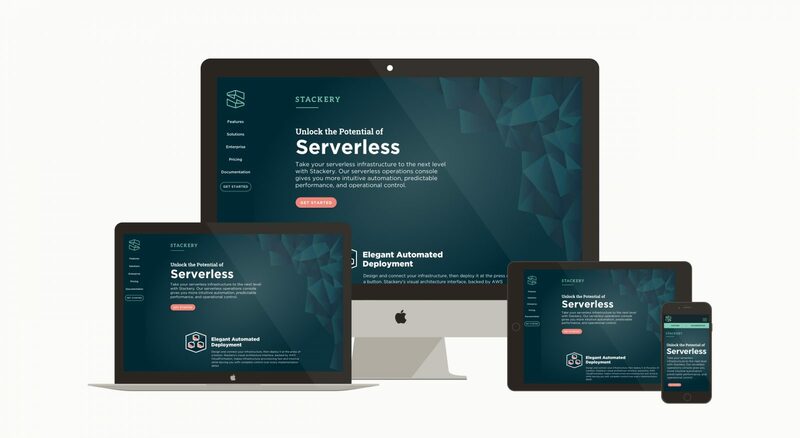 The atmospheric nature of the site differentiates it from other tech companies while also visually embodying the concepts behind serverless technology. 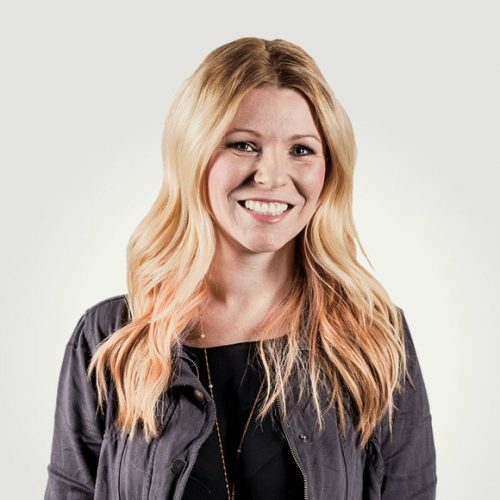 We worked with Stackery and our own developers to hone the site’s marketing copy in order to reward technical expertise while also appealing to non-experts. Stackery was a great design challenge! With the website, we needed to create a visually friendly way to showcase highly technical concepts. We designed icons and animations to lead users through product benefits and used color and shape to create a welcoming brand aesthetic. 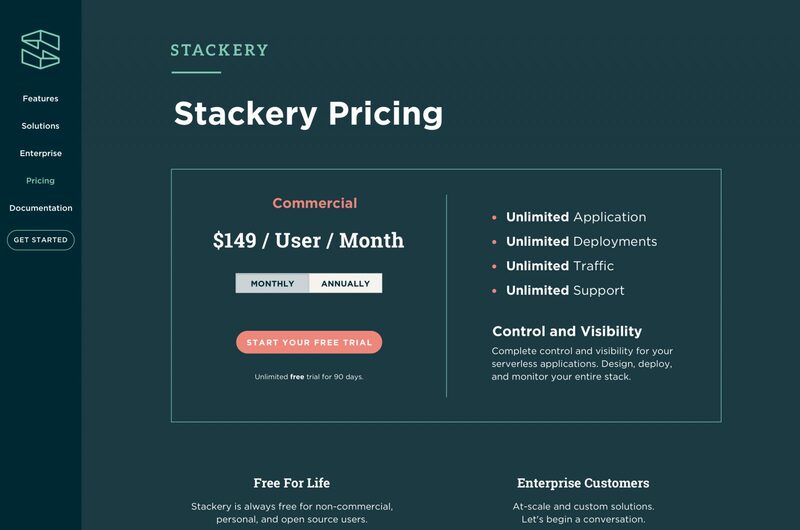 Stackery needed the performance of their website to imply the performance of their software, so we optimized everything we could: Instead of a slower, dynamic backend like WordPress, Stackery runs off a pre-generated set of static files generated by Jekyll. Nearly all the image assets on the site are SVG illustrations instead of bitmaps.